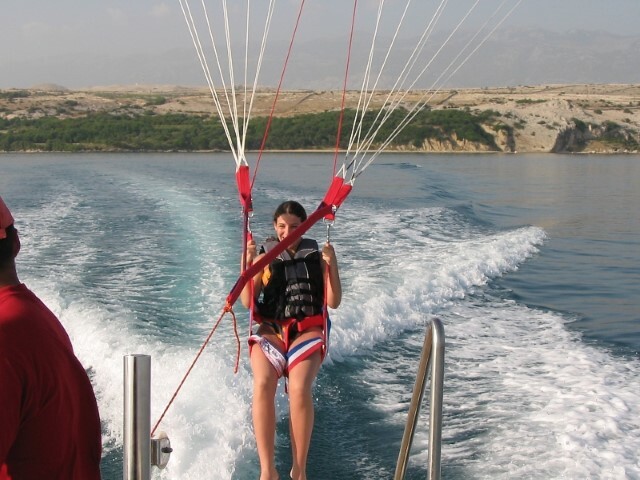 Fly with a parachute pulled by a boat and have an unforgettable experience enjoying a wonderful view of the waters of the island of Pag. 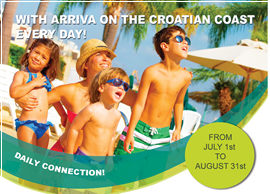 Wake up the adrenaline in the speed and waves riding a tube or a banana behind aboat. 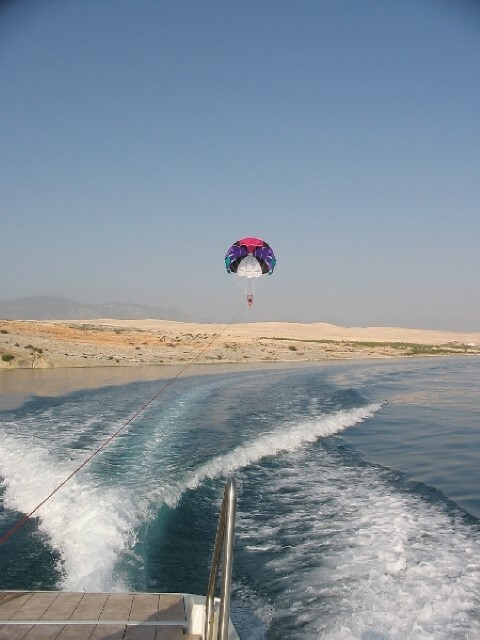 Take of from a floating pontoon and fly up to 100 meters of height! 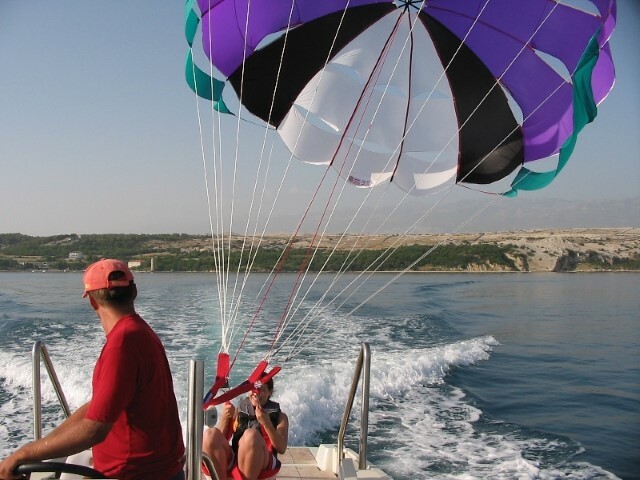 The boat can lift up to 3 persons at one time. 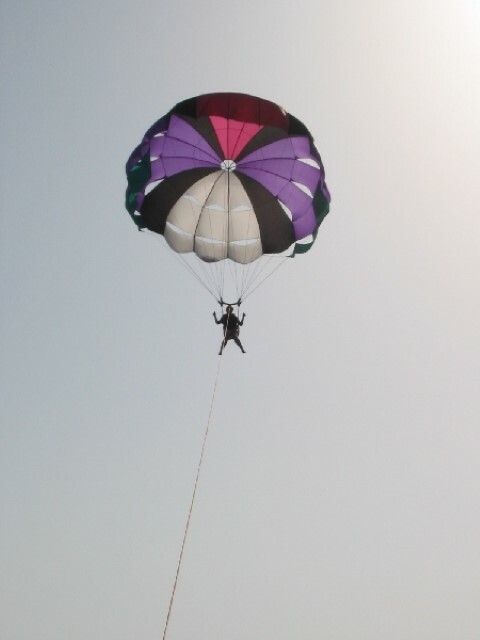 The flight lasts about 10 minutes and is followed by a safe lowering into the sea.